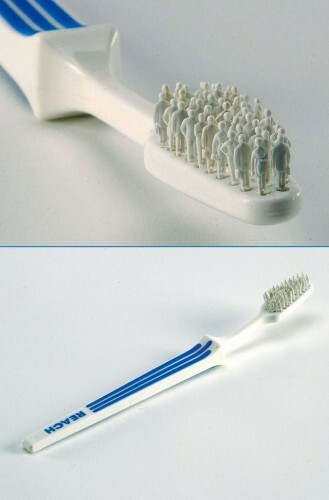 Toothbrush people never work as hard as they should. This is the kind of thing that looks like it’s some profound and meaningful symbol for something or other, but actually is probably just retarded. They ‘Reached’ too far on this one.